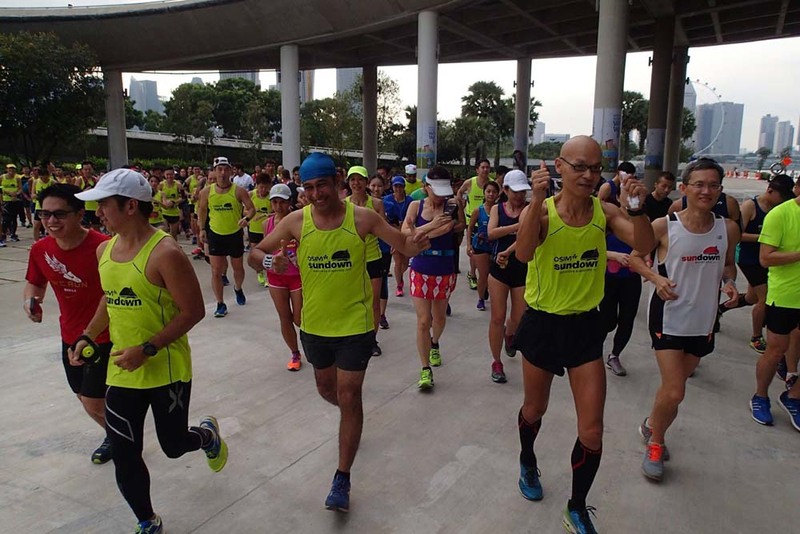 Good weather was presented at the 3rd and final lead up training run for Sundown Marathon 2017. 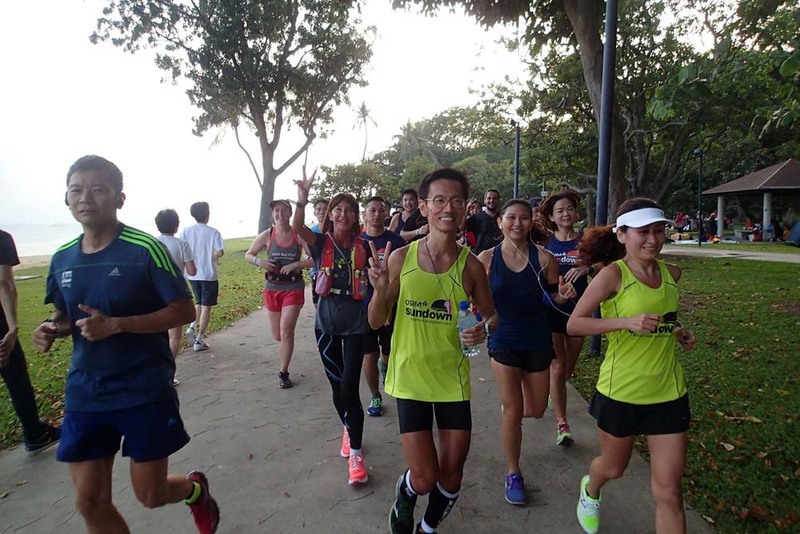 A good turnout of runners at the Marina Barrage start point, all eager to test out their target pace for race night. 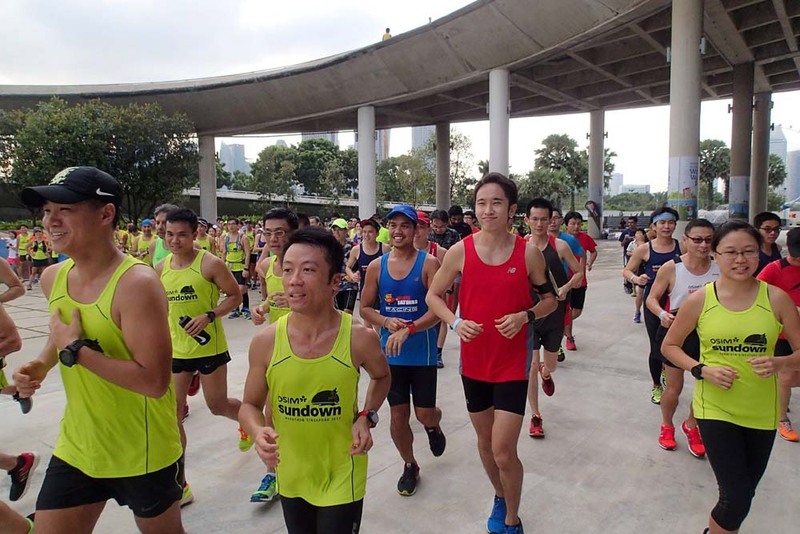 The Official Sundown Marathon Pacers, decked in their race night luminous green tops, were on hand to lead the runners in their respective pace groupings of 2:00h, 2:15h, 2:30h for Half Marathoners (HM) and 4:00h, 4:30h, 5:00h, 5:30h, 6:00h for Full Marathoners (FM). 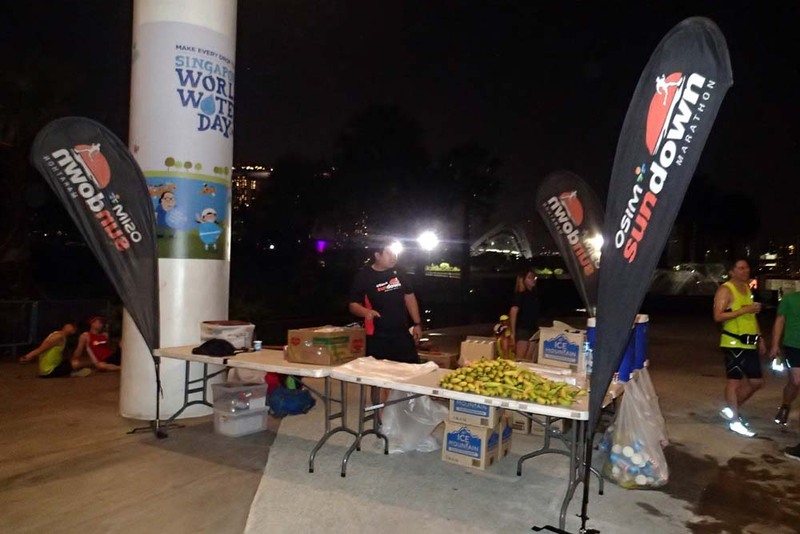 Sundown Organizer, HiVelocity, who organized this series of training runs, were on site with good hydration and banana support. 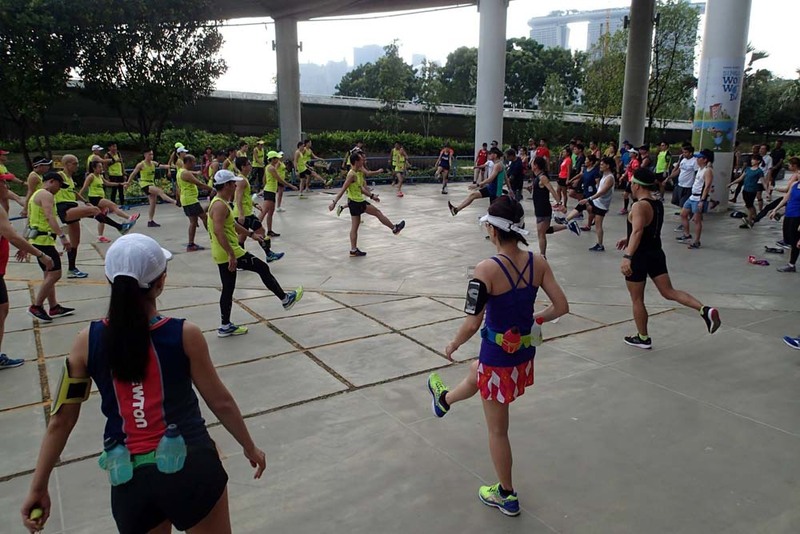 After a quick briefing of the route and pace requirements, the runners were led through a 10-min dynamic warm up session by the Sundown Pace Leaders. 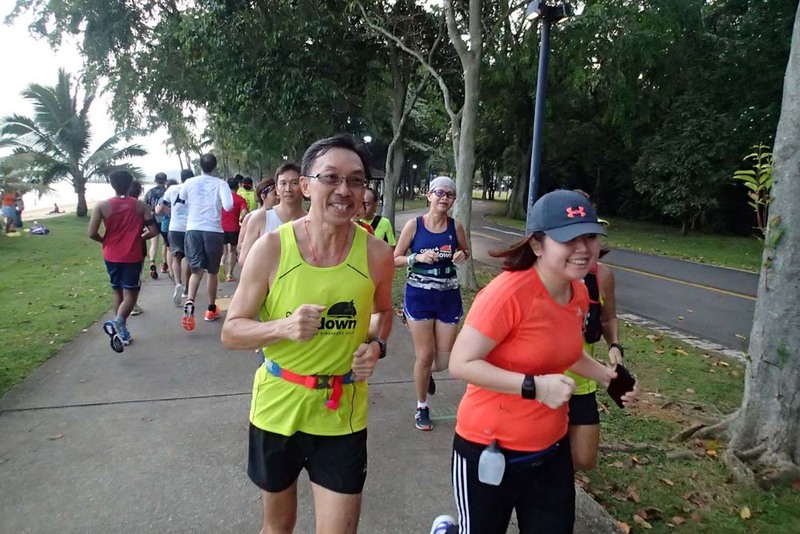 The lead up distances of 15km for HM and 25km for FM covered most of the race night routes, with the respective pace groups doing an Optimal Pace (OP) – a few seconds faster than Marathon Pace (MP) just to get in a small buffer for runners to cater for any unexpected circumstances on race night. 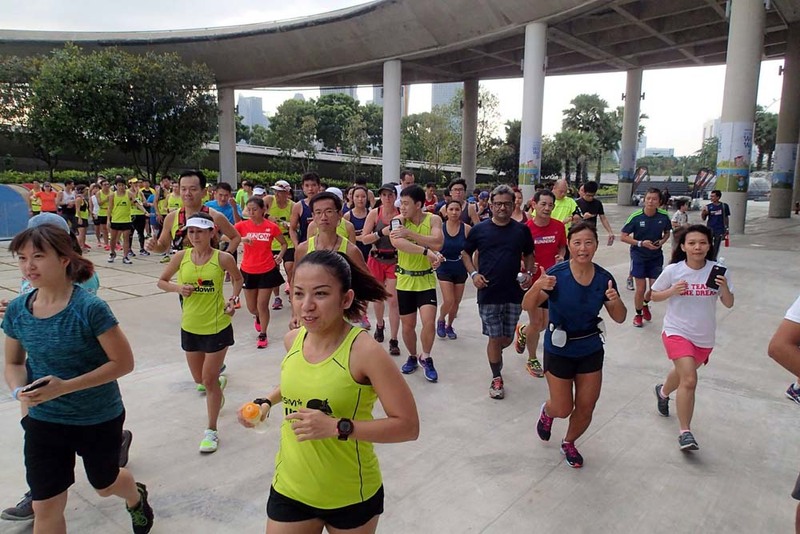 The run along the scenic portions of Marina Barrage, Gardens By The Bay, East Coast Parkway provided the runners with an enjoyable run, in spite of working hard to keep up to race pace. 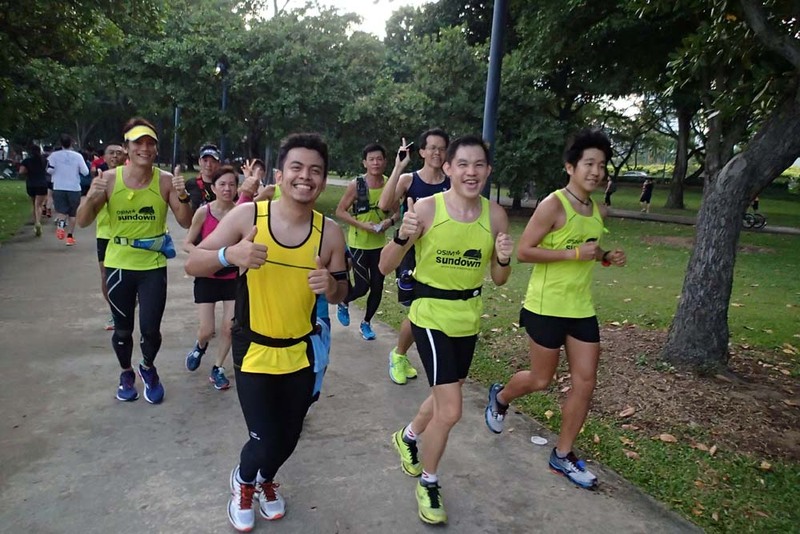 This was one of the last few opportunities before race night in 2 weeks’ time to test out their sustained pace, race gear and equipment, hydration and in-race nutrition plans. 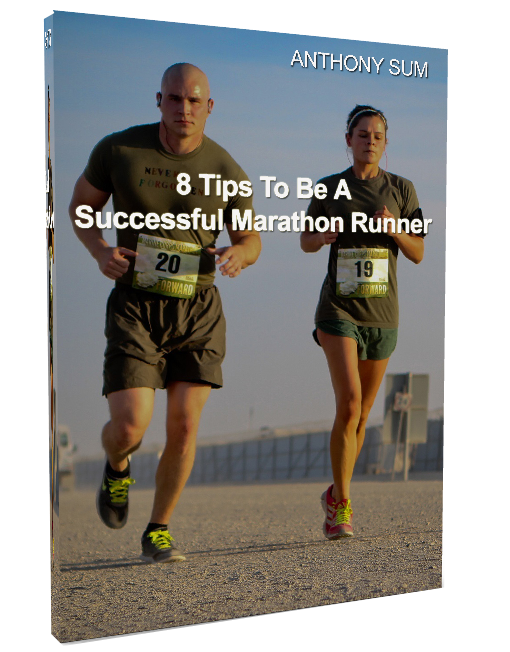 The first half of the run was covered by all runners at OP with little issues, with a few highly-energetic runners running much faster than their pace groups. 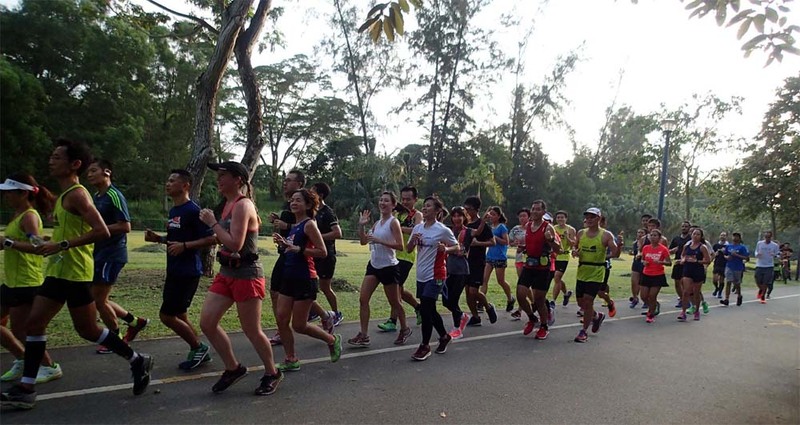 The return saw a slight slowdown in their paces when the runners were able to settle into a more realistic effort to complete the run in target timings. 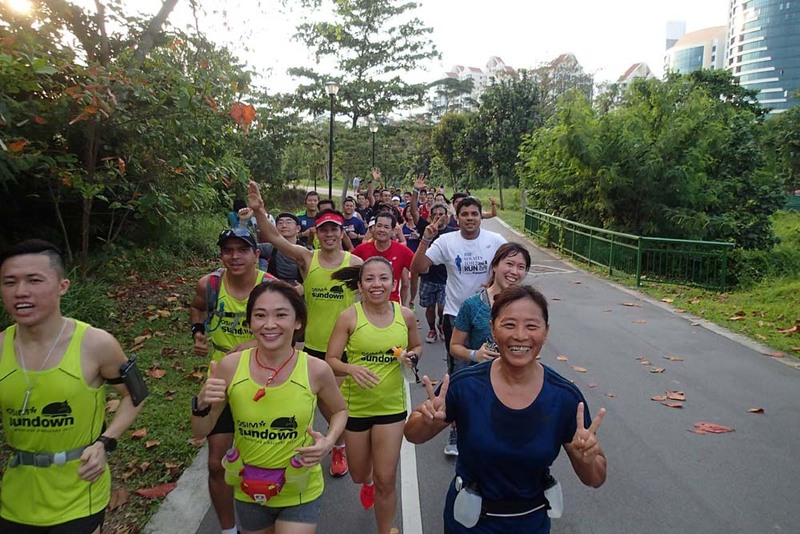 The Sundown Pacers were providing encouragement and motivation to all the runners, keeping their spirits high with chit-chats and even playing of music to entertain their Pacees. With the route being quite straightforward, some runners ran at their own paces (in between pace groups) to finish well ahead of schedule. 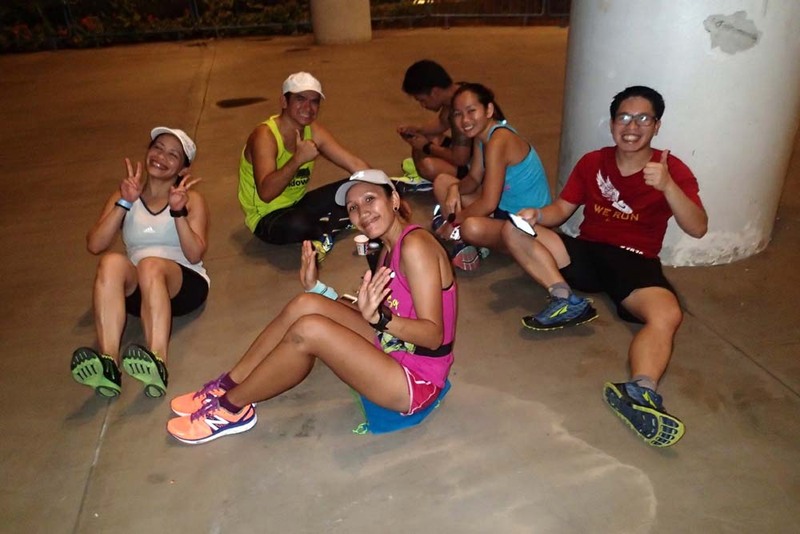 All the Lead Up Runners returned with their Pacers by 9:00pm, 3 hours after flag-off of the first group. 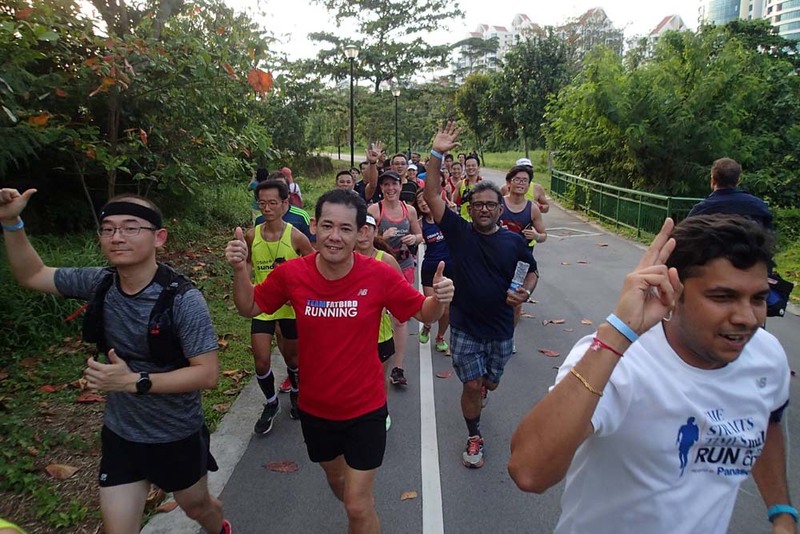 Iced-cold 100Plus and bananas were offered to reward all participants for a good workout and solid effort put in to sustain target paces till the finish. 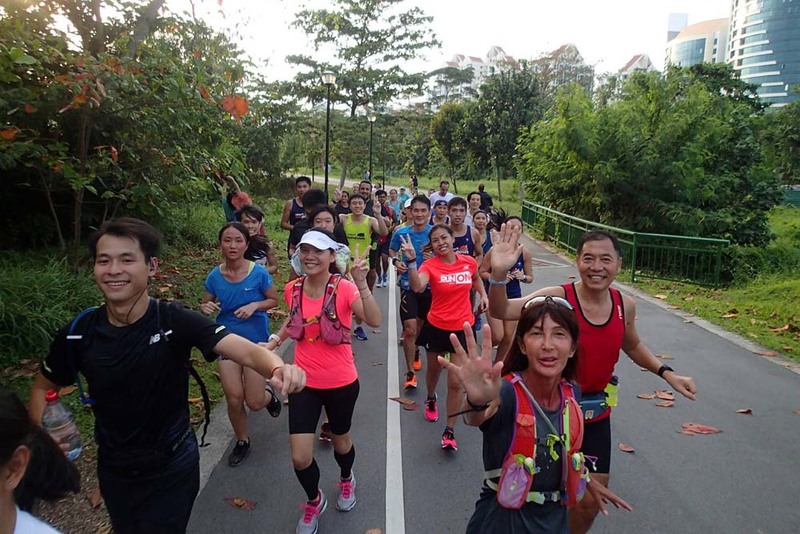 The successful run was a fitting finale to the Lead Up Run series, thanks to the fine weather, good support from HiVelocity, and not forgetting the outstanding teamwork of the Sundown Pacers who ensured safety and pace management to deliver the training objectives of the runners. 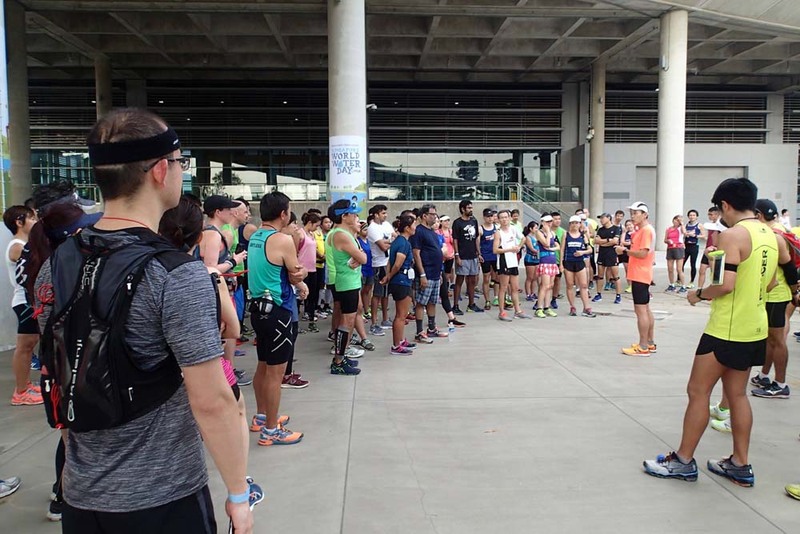 The Sundown Runners Are Ready To Rock!